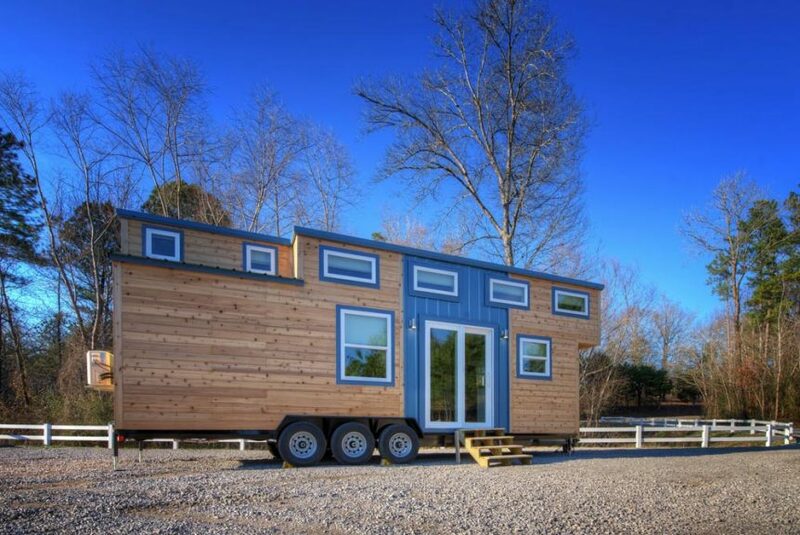 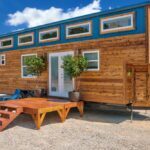 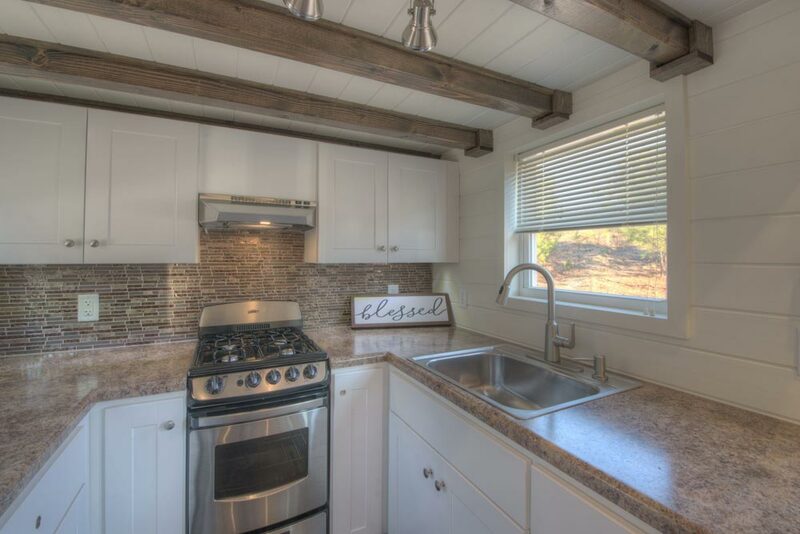 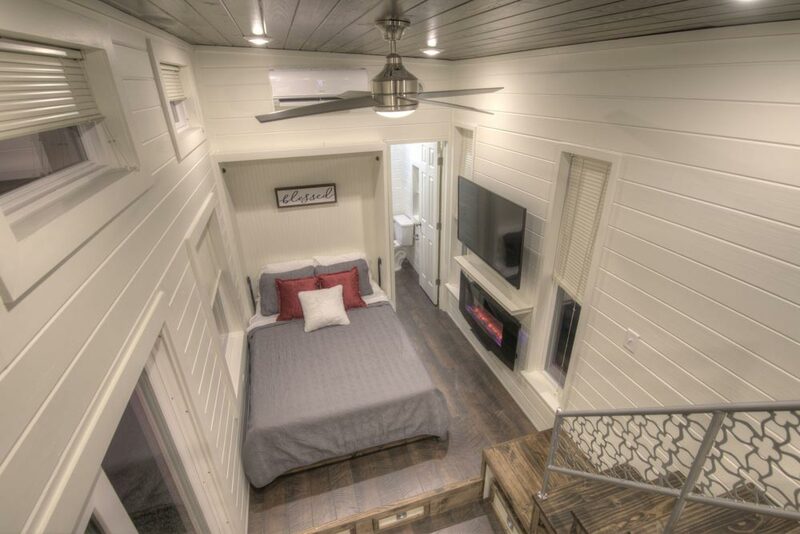 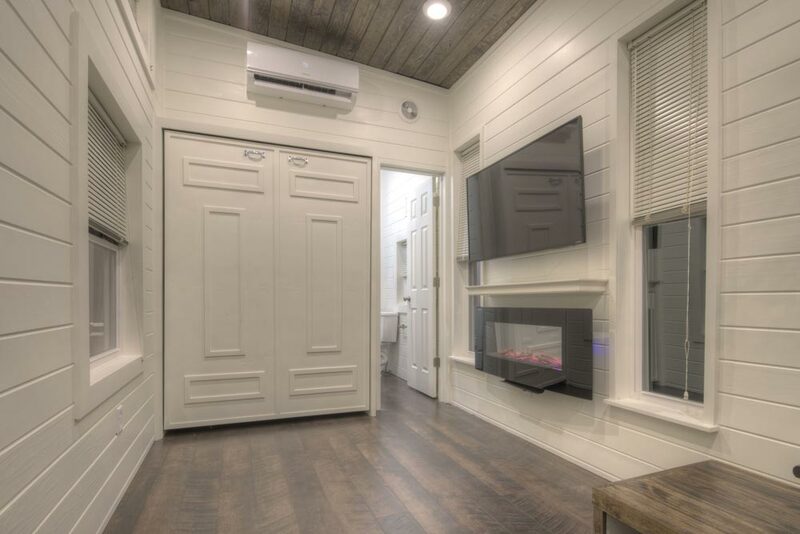 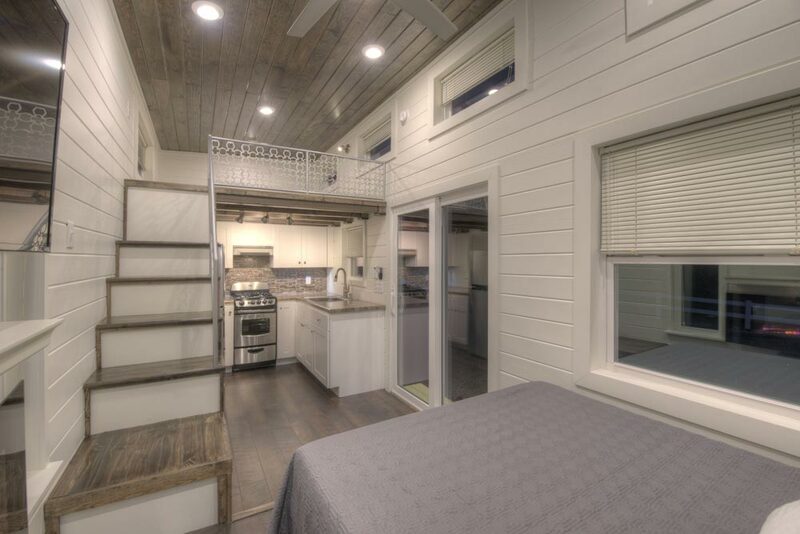 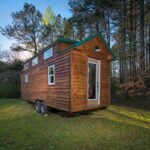 This beautiful tiny house is a modified version of Alabama Tiny Homes‘ most popular model, the Freedom. 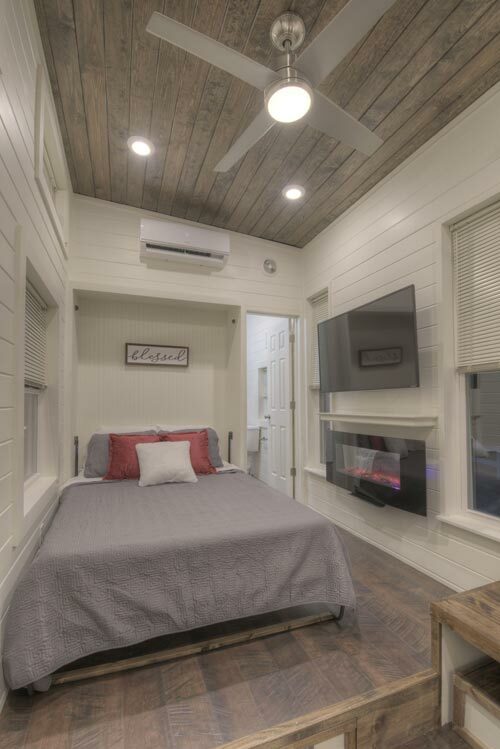 This version includes a murphy bed instead of a trundle, a tub in the bathroom, an even bigger closet than the original, and additional storage space in the raised floors. 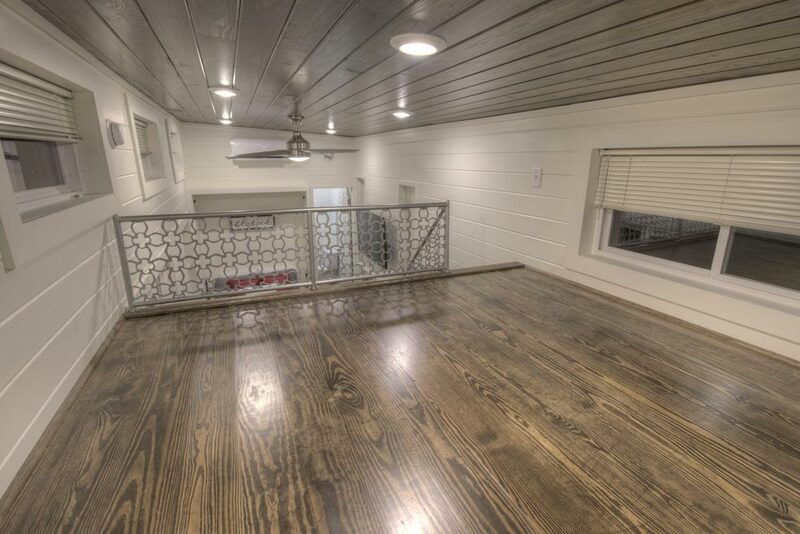 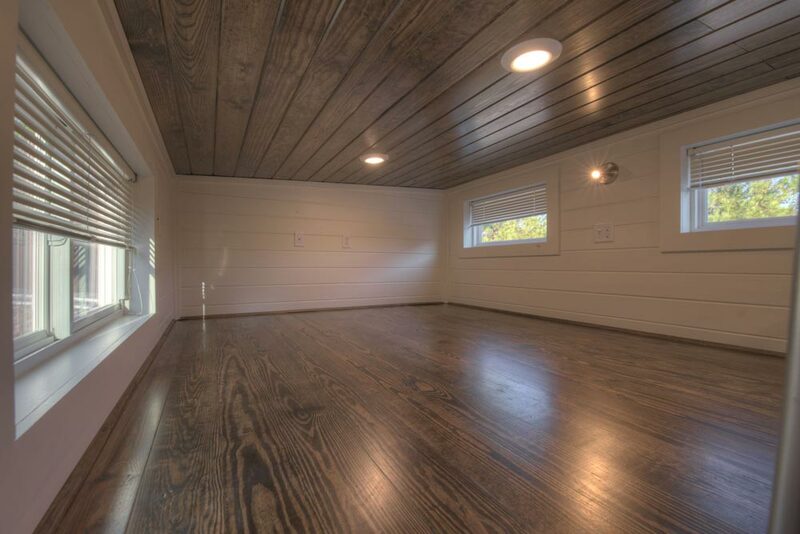 The exterior is primarily natural wood siding with a metal accent piece around the sliding glass entry. 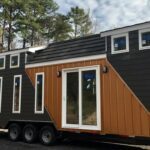 The metal matches the roof and window trim. 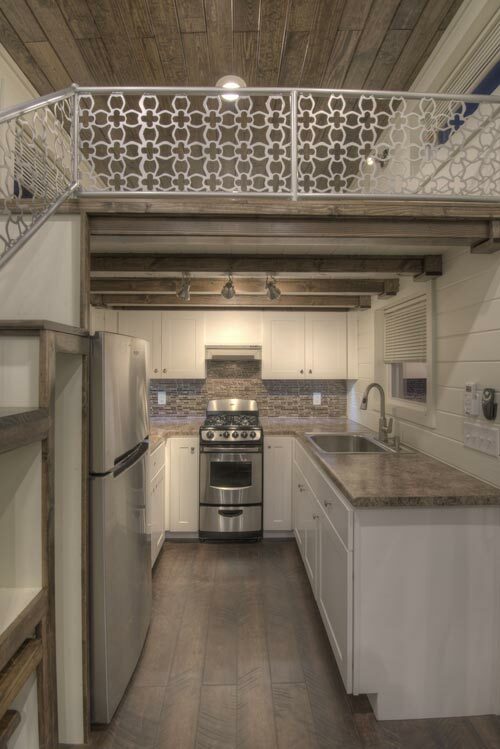 Like the original Freedom, the U-shaped kitchen is complete with freestanding range, refrigerator/freezer, and a large number of upper and lower cabinets. 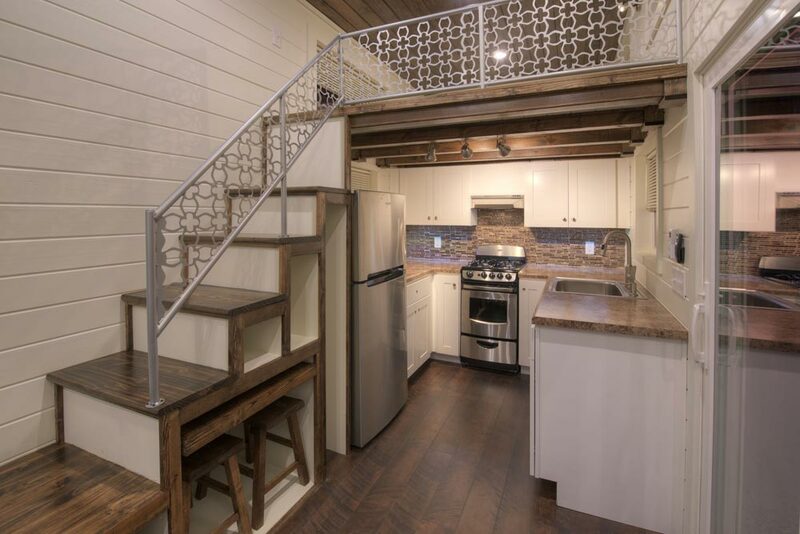 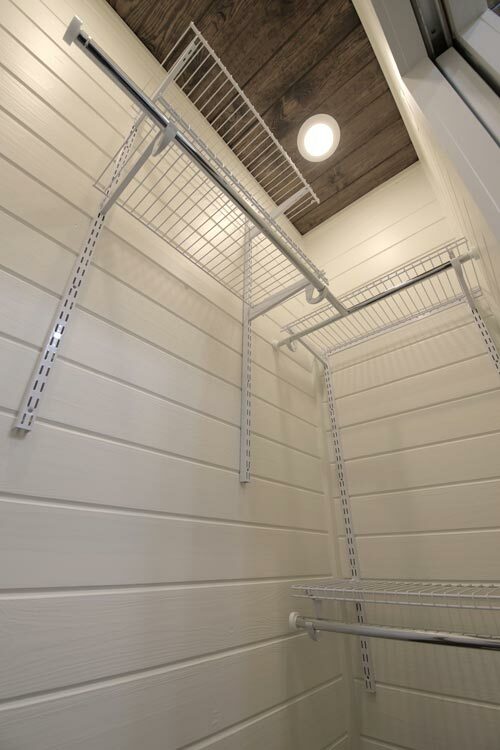 The storage stairs have a pull-out table and stools, and lead up to a bedroom loft. 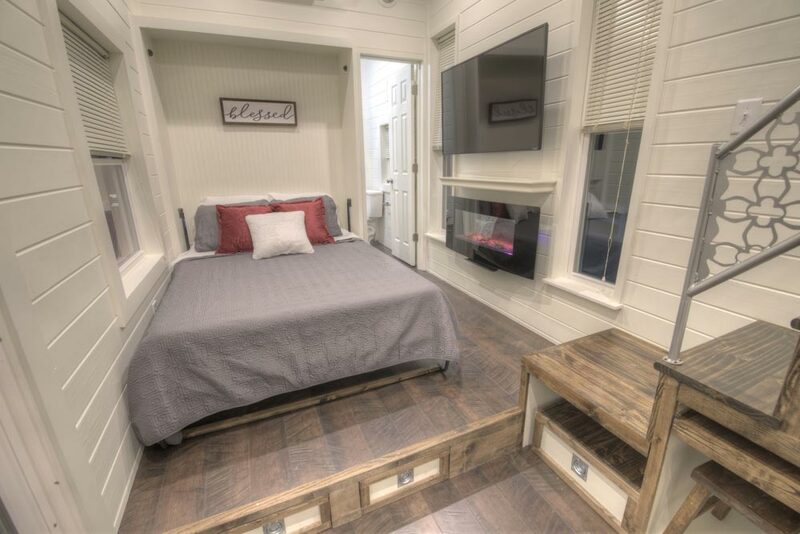 In the living room is the murphy bed, an electric fireplace, and LCD TV. 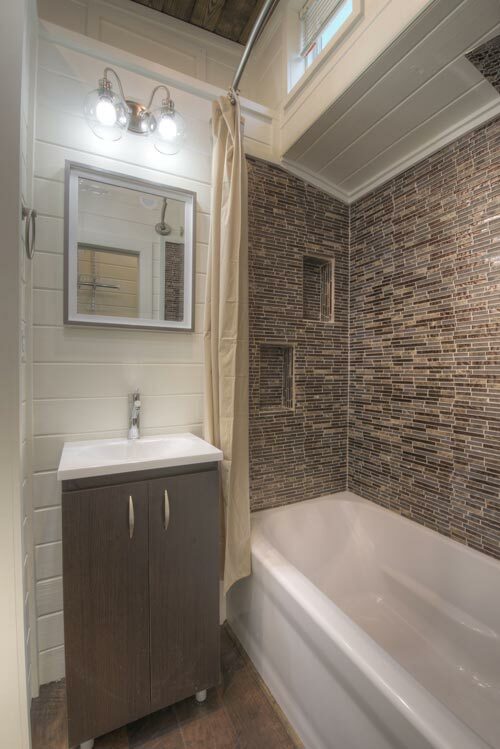 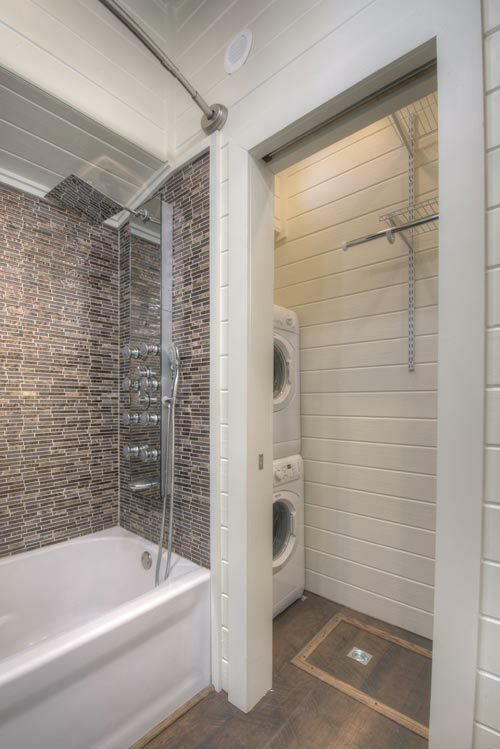 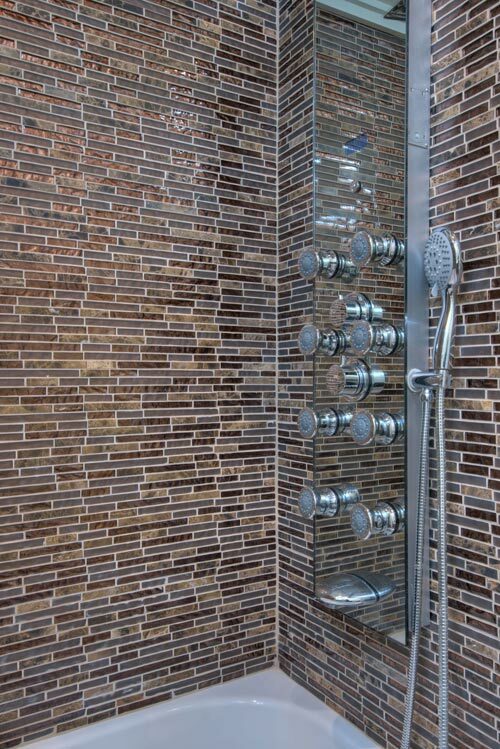 The bathroom includes a full size tub with tile surround, rain shower head system with body sprays, stackable washer/dryer area, and a large closet. 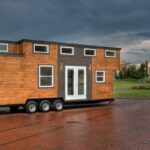 The Freedom v2 starts at $68,000. 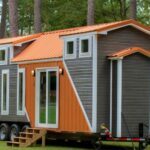 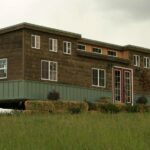 For more information, you can contact Alabama Tiny Homes. 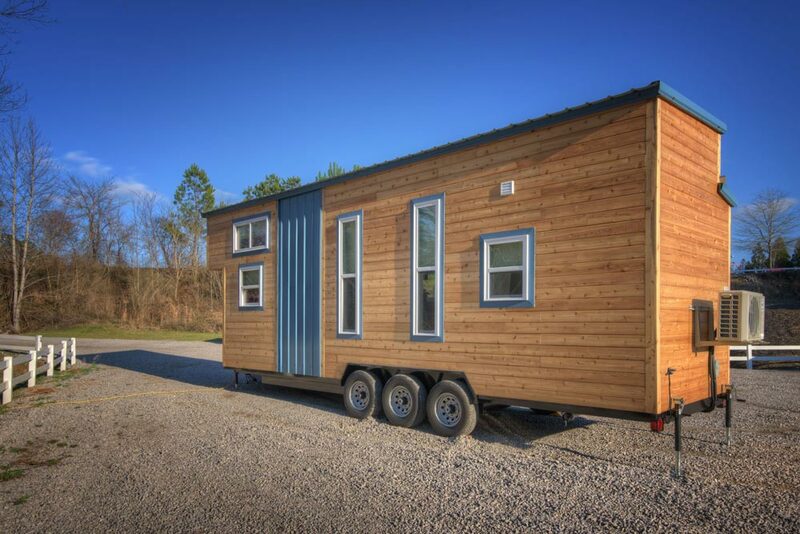 Also available from Alabama Tiny Homes: Journey, Freedom, Dreamer, Trinity, Trinity v2.